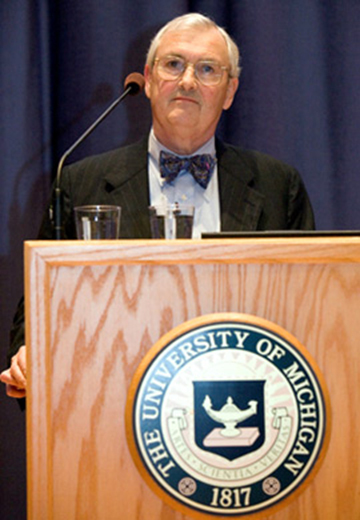 Price is a cofounder of ICOS, the Interdisciplinary Committee on Organizational Studies, founding Director of the Organizational Studies Programand founding Director of the Barger Leadership Institute at the University of Michigan. Vuori, Jukka and Price, Richard H. (2015). Evidence Based Job Search Interventions for Unemployed Workers and Youth. In Hartung,Paul J.; Savickas,Mark L. and Walsh,W. B. (Ed. ), APA Handbook of Career Intervention. American Psychological Association:Washington D.C..
Vinokur, Amiram D. and Price, Richard H. (2015). Promoting Reemployment and Mental Health among the Unemployed. 171-186. In Vuori,Jukka; Blonk,Rol and Price,Richard H. (Ed. ), Sustainable Working Lives: Managing Work Transitions and Health Throughout the Life Course. Springer Netherlands:Dordrecht. Vuori, Jukka; Blonk, Roland and Price, Richard H. (2015). Sustainable Working Lives: Managing Work Transitions and Health Throughout the Life Course. Dordrecht:Springer Netherlands. Vuori, Jukka; Blonk, Roland and Price, Richard H. (2015). Conclusions for Policy, Practice and Research. 291-300. In Vuori,Jukka; Blonk,Roland and Price,Richard H. (Ed. ), Sustainable Working Lives: Managing Work Transitions and Health Throughout the Life Course. Springer Netherlands:Dordrecht. Price, Richard H. (2015). Changing Life Trajectories, Employment Challenges and Worker Health in Global Perspective. 3-16. In Vuori,Jukka; Blonk,Rol and Price,Richard H. (Ed. ), Sustainable Working Lives: Managing Work Transitions and Health Throughout the Life Course. Springer Netherlands:Dordrecht. Price, Richard H. and Vinokur, Amiram D. (2014). The JOBS ProgramImpact on Job Seeker Motivation, Reemployment, and Mental Health. In Klehe,Ute-Christine and van Hooft,Edwin A. J. (Ed. ), The Oxford Handbook of Job Loss and Job Search. Oxford University Press:U.K..